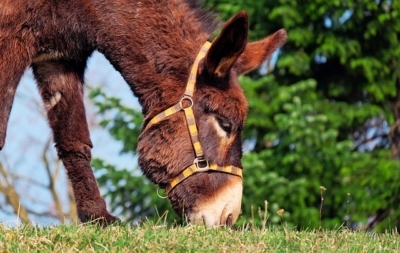 Dental Health: Would you kiss a donkey if you had a toothache? Would you kiss a donkey if you had a toothache? Do you go to the barber when you tooth hurts? Do you chew on chili peppers for your tooth pain? Would you have your tooth pulled in the town square by a traveling salesman? These are just a few of the “old time” treatments for tooth pain, and actually the milder and less grotesque ones that I’ve come across. Now, why am I asking? Well, it’s because February is National Dental Month. Luckily, we’ve come a long way since those old time remedies were used. That said, we have some work to do. Tooth decay is the number one chronic illness among children in the United States of America. It’s the second most common disease in general, coming in right behind the common cold. 10% of two-year-olds already have one or more cavities, and almost 50% of children have tooth decay by the time they go to school. Children endure pain, miss school days and more in relation to this poor dental health. This early occurrence of disease in our children spills over into the adult population as it’s the number one risk factor for poor oral health into adulthood. Daily, we’re learning new information that links adult tooth decay to many illnesses, such as diabetes, heart health, cancer and more. 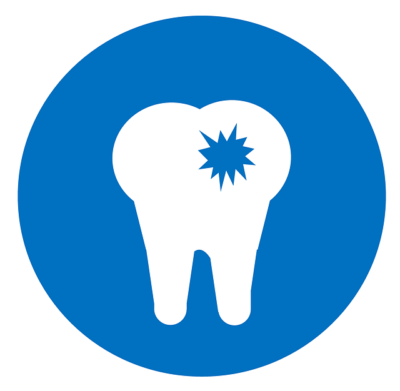 It’s estimated that 90% of system diseases have oral health connections. According to the CDC, our nation spends about 124 billion dollars a year on dental care. So, that’s the bad news. The good news is this disease, tooth decay, is preventable. As parents, there are many things you can do to slow/stop potential tooth decay in your children. Start early with good dental habits. With the very first tooth, you should start brushing your baby’s teeth with a tiny (rice grain size) bit of fluoride toothpaste on a soft bristle brush at least twice a day. Did you know some of the earlier tooth brushes were made from hog, horse and badger hair? Flossing can also be an important part of this early routine. The website Healthychildren.org has some great information on the specifics of this and how to progress as your baby grows. Healthy eating is a big part of dental health. Decrease the sugar in your kiddos diet. This of course includes cookies/candy/pop, but also, even the sticky nutritious fruit like raisins or prunes. Did you know the cotton candy machine was invented by a dentist? Talk about sticky food! If they do have these sweets, have them brush afterwards. We often suggest honey for cough treatment in our kids over one year old, and brushing is necessary after this as well. A baby bottle should only have milk/formula (or rarely per doctor water or juice) but NEVER pop, Kool-Aid, or other sweetened drinks, and NEVER before going to bed. 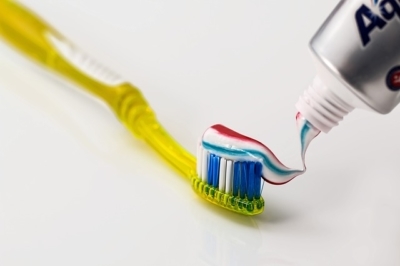 Fluoride is a huge part of tooth health. Fluoride is added to the water supply of many cities in the United States. Check with your city, and if it doesn’t add fluoride, talk with your doctor/dentist for other sources. I repeat: this is HUGE! Just as we are your medical home, (for general health, growth and development, illnesses, etc.) your child needs a dental home where it’s recommended that your baby see a dentist within 6 months of her first tooth, or around 1 year of age. The American Academy of Pediatrics recommends this early start so the dentist can then follow the baby and help guide further specifics of dental health. We are here to help as well. Checking oral health is part of our well child care procedure. 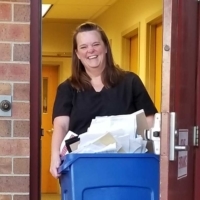 We share our office monthly with Hope Dental, who serves our under-insured patients with accessible dental care. We follow the American Academy of Pediatrics guidelines for dental care, and keep up-to date information on local pediatric dentists. And we have display information at all of our offices about dental health this month! I’ve seen first-hand that this process works. I have two grandsons (age 2 and 4) who started very early with a dental care routine. They know where their toothbrushes are at my house and remind me when it’s time to use them. (Of course it could be the “Spiderman” electric toothbrush that reminds them!) They know what floss is for, and already see a dentist regularly. And they’ve already beaten the stats… no cavities! Working together, parents, kiddos, and dentists can definitely impact future health by helping us take care of our teeth. Let’s do it! https://lsphysicians.com/wp-content/uploads/2019/01/toothbrush-571741_640.jpg 426 640 Lee's Summit Physicians Group http://lsphysicians.com/wp-content/uploads/2018/04/LeesSummitPhysiciansGroupInternalMedicineLogo.png Lee's Summit Physicians Group2019-02-07 06:00:542019-01-17 14:51:01Dental Health: Would you kiss a donkey if you had a toothache?